You beaut! It's all our favourite Aussie finds for babies and kids on Australia Day! You beaut! It’s all our favourite Aussie finds for babies and kids on Australia Day! Australia Day is here, and while capital cities around the country are setting off fireworks, we’re celebrating by taking a look back at all the great Australian designers and toymakers we’ve had the pleasure of featuring over the past year. You can’t get much more Aussie than Vegemite toast, giant prawns or utes with cattle dogs in the back, which makes the Australia and Melbourne-themed stacking blocks ($30) and threading blocks ($35) from Make Me Iconic the perfect way to start our round-up. In the oppressive heat of January, we’re thinking about all the little bubbas enduring their first Australian heat wave. 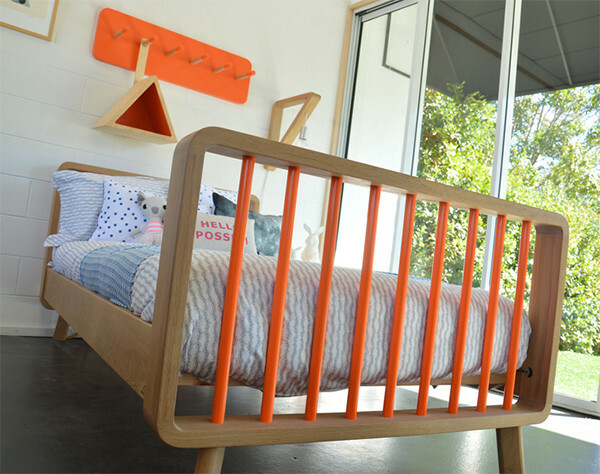 Luckily Adelaide furniture designer James Howe has created the Vos Kho Rocker ($595), an airy, organic Moses basket and stand that keeps air circulating around your dozing newborn and also looks quite fine in any room of the house. 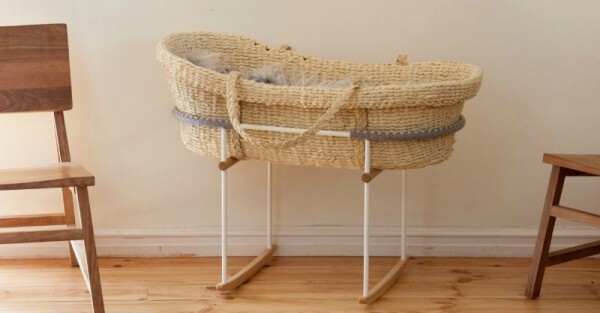 If you love James’ style, the baby range also has a gorgeous changing table that’s handmade and woven from Danish cord. When your baby grows out of it, the changing table can take on a new life as a beautiful display shelf. Multiple purpose pieces are the best, no? While we’re on the topic of babies, let’s talk baby fashion, which incidentally is the best type of fashion. Everyone knows shoes make the outfit, and these Melbourne designed and made leather moccasins ($40 – $45) by Moccs Made with Love are the perfect outfit-makers for pre-walkers and toddlers. I’m partial to the leopard print Mary-Janes with bows, but the traditional tasseled and fringed moccasins in white are divine too. 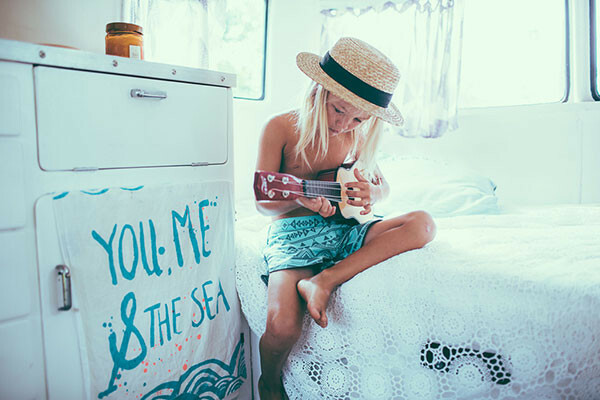 If your kids’ style is more laid-back, Byron Bay’s Children of the Tribe designs the most perfect clothes for long lazy summer days. Pop on an ensemble of slouchy patterned harem pants ($44.95) and a truck stop muscle tee ($35.95) and kids will be sorted for a day spent cruising the Manly boardwalk, subsisting purely on ice blocks and chocolate milk. Adelaide isn’t the only city inspiring incredible furniture designers. Noosa’s own Green Cathedral started with a simple, colourful Babanees stool and its collection has grown to include gorgeously pared back furniture for grown-ups and kids. The stand-out pieces are the bespoke Archie and Bella beds (from $1590), which are made from American Oak and accented with headboards whose spindles can be painted in one of hundreds of colours, complete with glow-in-the-dark options. 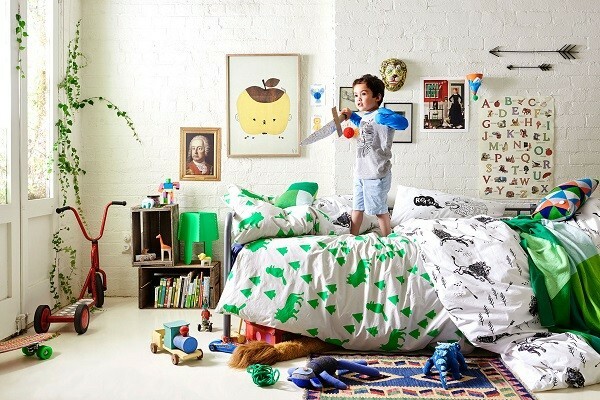 A beautiful bed deserves beautiful bedding, and we think the magical designs from Melbourne’s Little Yawn are just the thing. Inspired by C.S. Lewis’ classic book The Lion, the Witch and the Wardrobe, the 2015 collection has golden unicorns, little green beavers, metallic stars and roaring lions, which are perfect for a modern and whimsical kid’s room. 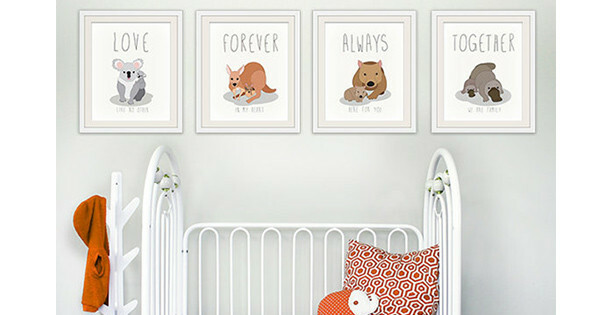 We’ve got a soft spot for mama and baby themed artwork, and Etsy shop Wall Art for Small Fry has done some lovely nursery prints for $47. There are koalas, platypus, wombats and kangaroos, all illustrated with their own small fry. There are plenty of wonderful toymakers in Australia, and Milton Ashby is one of our favourites. Milton Ashby is the labour of love of an ex-automotive designer who started the company after struggling to find high quality toys. 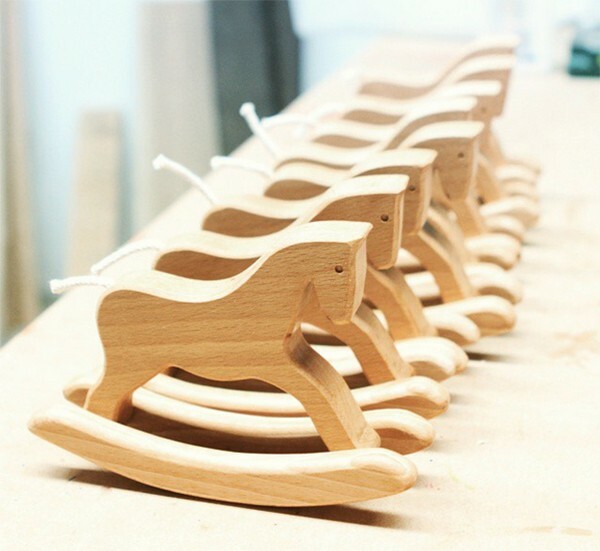 There are rattles for babies, cars, aeroplanes and rocking horses, each handmade from a unique bit of wood and sanded to a satin finish. It’s not Australia Day if we don’t include every part of our diverse culture, and we love these eight lovely children’s books celebrating Indigenous culture. 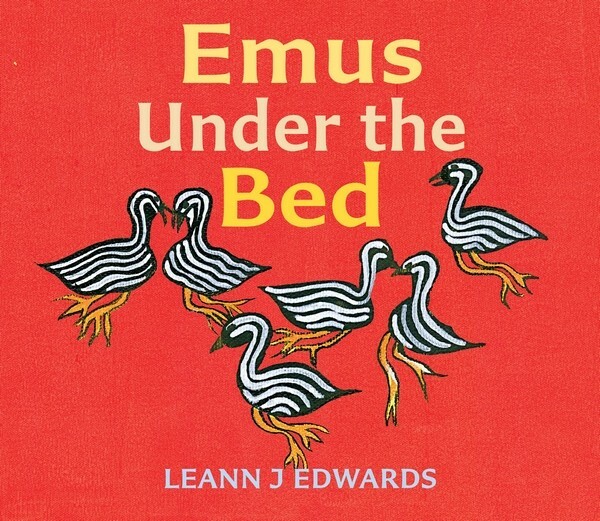 Shortlisted for Speech Pathology Australia’s annual book prize, our top pick is the beautifully-illustrated Emus Under the Bed by Leann J. Edwards about the precious relationships with extended family. What better way to finish an Australia Day celebration than to curl up in a giant, squashy floor cushion like the Pyramini Cushion by Ink & Spindle. The textile designs are inspired by native Australian flora and fauna as well as urban Melbourne, and each design is handprinted on ethically sourced fabrics. 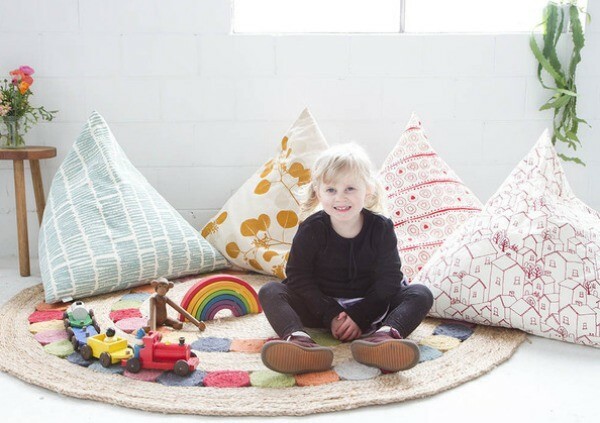 You can buy a cushion form and fill it with beans, foam or bamboo fibre, or if you’ve got the maker’s magic touch, you can buy the fabric from stockists around Australia and make your own unique creation. Visit our archives for more home-grown Australian delights.